For your food, ingredients are arranged in descending order according to the percentage of weight that are in the product; for example, if the first 3 ingredients in salsa are tomatoes, onion and peppers, you know that there are generally more tomatoes than onions and more onions than peppers. The same is true for the label on your dog's food. If the first ingredient is chicken you know that a significant portion of the food consists of chicken. 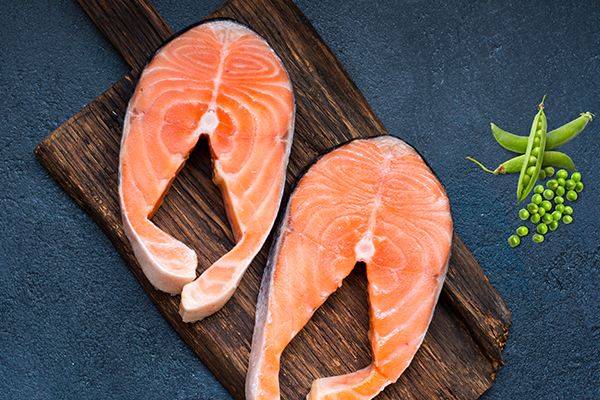 When you're shopping for food for your dog, look for foods with protein; like salmon, and chicken. Just like the foods their ancestors ate. This way, you know you're getting a wholesome product that will include the proteins and amino acids your pet needs to stay healthy. The guaranteed analysis chart lists the minimum and/or maximum percentage of nutrients in a food, such as protein, fat, fiber and moisture. The guaranteed analysis for dry food and wet food will look different; this is because the moisture content in the wet food is so much higher. 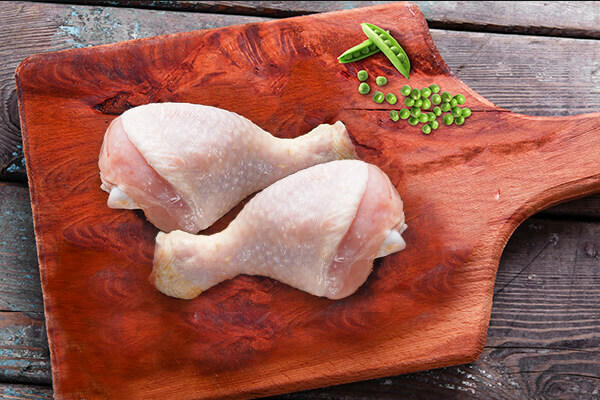 Some pet foods contain chicken by-product meal. 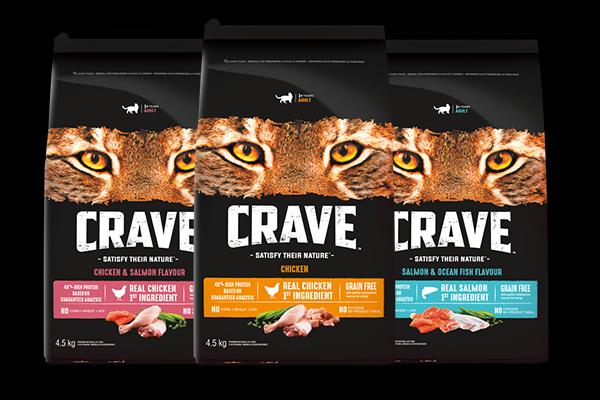 CRAVE™ dog food is crafted without chicken by-product meal. With 34%* protein, CRAVE™ dog food is inspired by a dog's natural diet. Real meat** is the first ingredient and these protein-rich recipes provide dogs with energy and supports lean bodies. The Association of American Feed Control Officials (AAFCO) has published nutritional standards for pet food. There are two separate nutrient profiles - one for growing kittens/gestating-lactating mothers and one for adult maintenance. All CRAVE™ dog foods meet the nutritional levels established by the AAFCO Dog Food Nutrient Profiles for adult maintenance.